If you are looking for a straightforward business loan (also sometimes called a commercial loan), we can help you find what you need. A commercial loan is for a fixed sum repaid over a fixed period (called the "term" of the loan). We have specialist partners that can help you access the best interest rates, from lenders that will take a flexible approach and be sympathetic to difficult circumstances. For help, complete the green box quote request on this page, or: call Sean on: 03330 113622. A guarantee from your company director(s) may be required. A charge over all company assets or property (typically a second or subsequent charge) may be taken. Property loans, for property development and investment, may be up to £10 million. What Is The Term Of A Commercial Loan? This is the normal term of a commercial loan, the period over which the loan is repaid? This can range between 3 months and 10 years. Financing management buy outs (MBO), buy ins, acquistions and business purchases. Improving your working capital and cash flow position. Bridging short periods of time. 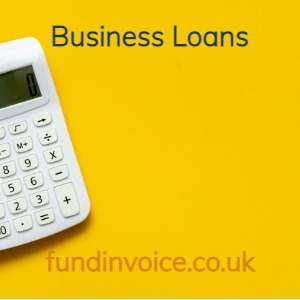 If you already have an invoice finance facility (or are seeking one) you may be eligible for a cash flow loan to top up the amount of funding that you receive. This is a fixed sum, in addition to your normal factoring or invoice discounting funding levels, with the fixed sum repaid over a fixed period, called the term. Several of our invoice finance partners offer cash flow loans.